Natural Stone Fireplace Co ltd.
With a talent for art, and a passion for history it made sense for Mark Whyman to take up an apprenticeship in stonemasonry. He initially specialised in architectural restoration, experiencing the history and developing the traditional skills and techniques essential to producing proportionally accurate and aesthetically pleasing architectural features. English stonemason Mark is still passionate about his craft, even after 30 years in the trade. Mark now works from his studio in Matakana. All the fire surrounds are laid out before leaving the studio to ensure an excellent fit and to minimise on site disruption. 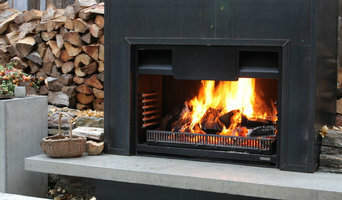 Design and Manufacturer of fires - wood and gas, indoor and outdoor. Products proudly made in New Zealand. At Rinnai New Zealand we’re proud pioneers behind many of the heating solutions Kiwi and Australian families enjoy today. We don’t mean to brag, but we are history makers – being the first company to introduce continuous flow gas hot water and thermostatically controlled gas fire places to Kiwis. Recently we’ve launched the Smart Cylinder, an electric hot water cylinder that can help kiwis reduce their water heating energy consumption by up to 10%! We have a proud heritage of designing and manufacturing all our gas fires right here in New Zealand. Our low pressure copper hot water cylinders and Rinnai Boil & Brew™ automatic boiling water units are also fully manufactured right here in NZ - we believe our local commitment adds a touch of magic to the way we deliver our solutions. We also put a lot of research and development into designing and sourcing the highest quality components from Europe for our mains pressure enamel and stainless steel cylinders which are assembled here in our Auckland manufacturing plant. And now you know a bit about us – at Rinnai, we are go-getters, who are always striving to provide society with comfortable lifestyles through superior heating products and service with a little touch of… Rinnai magic! Make a transition from CAD to BIM.Hire revit drafter NZ as revit is basically a building information modeling program that helps to create 3-D model of real physical buildings.iStructures offers experienced revit drafter NZ services with each 3D element contains information into it. Fireplace designs vary, whether you are looking for a minimalist gas fireplace or a large outdoor fireplace. Hearths and fire pits can transform your backyard and offer an entirely new focal point in your property. Really feeling original - try a chiminea! Chimineas bring the warmth and ambiance of wood fireplaces to any outdoor entertaining area. Can I install a fireplace myself? Be aware, installing a fireplace without a professional can go very wrong and turn out to be very costly. Installing wood heaters, fire pits or even a stylish ethanol fireplace is not a job for an amateur. There is a lot to keep in mind, and there are plenty of safety measures that you need to get right. 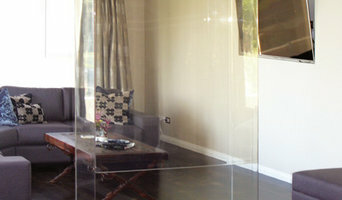 Reaching out to a professional can help you find the right unit for your home and make sure it’s installed correctly. Since wood smoke contributes to air pollution, many cities have banned the use of wood-burning units. If you’d like to buy a wood burning unit, check the city policies first. If your home already has a wood-burning unit that you’re concerned about, contact a fireplace manufacturer to replace your wood-burning unit with an environmentally friendly electric or gas alternative. Gas inserts can be efficient heaters and may lower your electric-heat bill. Many adjust to provide high heat on a cold night or a low-burning flame for ambience. Interior fireplaces and mantel designs are as varied as home interiors. From custom fireplace mantels made to conceal a flat-screen TV to custom hearth designs with elaborate Renaissance-style stone mantels, the latest designs can be found by visiting fireplace showrooms. Outdoors, a custom fire pit has become an important focal point and gathering place. Decorative fire pits, artisan-made fire bowls and even fire tables come in many shapes and sizes and are fast becoming an integral part of landscape designs. But whether indoors or out, it can be hard to narrow down all of the incredible choices in fire features. You may want to hire a designer to help you find the perfect size, style and placement for your new fire element. Here are some related professionals and vendors to complement the work of fireplace sales & installation: Building Project Managers, Interior Designers & Decorators, Stone, Pavers & Concrete, Tile, Stone & Benchtops. Find fireplace manufacturers and showrooms, plus fireplace installation professionals, on Houzz. 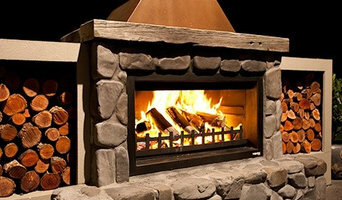 Go to the Professionals section to find fireplace design and installation experts.